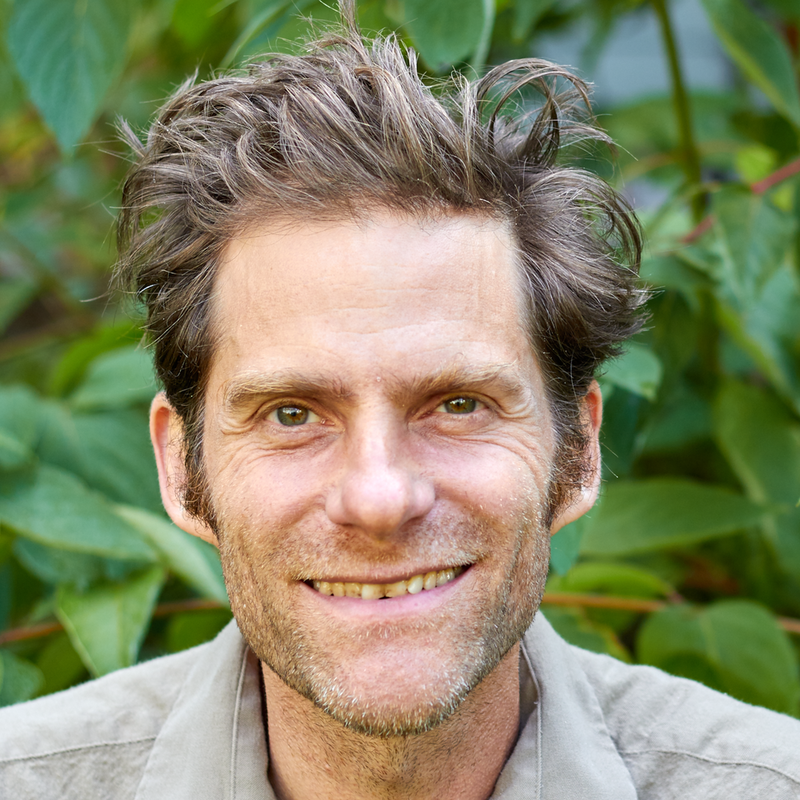 Scott Kloos, author of Pacific Northwest Medicinal Plants: Identify, Harvest, and Use 120 Wild Herbs for Health and Wellness, is a plant medicine practitioner, ceremonialist, wildcrafter, medicine maker, and singer of plant songs. He has been working with the native plants of the Pacific Northwest since the late 90’s. He is the founder and managing director of The School of Forest Medicine and is the owner of Cascadia Folk Medicine, which supplies the community with high-quality, small-batch herbal extracts of the native plants of the region. He was one of the founding members of the Elderberry School of Botanical Medicine in Portland, OR. In his healing practice he works mainly with the psycho-spiritual aspects of plant medicine. In addition to many years of self-study, he completed the 1999 Herbal Apprenticeship Program at the Herb Pharm in Williams, OR, and in 2000, he attended a nine-month Community Herbalist Training Program with Christopher Hobbs. He spent seven years studying the human psyche (his own and others) in Paul Levy’s Awakening in the Dream group. Paul’s unique synthesis of the Dzogchen School of Tibetan Buddhism, Western Alchemy, Jungian Psychology, the Dreambody Psychology of Arnold Mindell, and shamanism deeply shaped his view of the world and his approach to healing and working with plants. In 2009, he studied Traditional Western Herbalism: An Intuitive and Energetic Approach with Matthew Wood in Portland, OR. When Scott is not leading classes on identifying and working with wild medicinal plants, medicine making, and wildcrafting or leading trips into the wilds of Cascadia to help folks remember their relationships with the spirit forces of the land, he spends as much time as possible with his beautiful wife and two boys: Kathryn, Joaquin, and Finn. He has dedicated his life to helping build the foundations of a renewed, intact culture so that his children, their peers, and the children of those children will be able to live in a sane, healthy world in peace and harmony with nature and all beings. In my experience it is disconnect from nature and the spiritual forces of life that leads to much of the depression, anxiety, and other psycho-spiritual maladies that plague so many members of our culture. I’ve been honored to play a role in healing this rift by providing people with experiences in nature that inspire a remembrance of our fundamental connections to the Earth and cosmos. Another aspect of my mission is to write in ways that encourage the healing and transformation of the trauma and cultural imprinting that lead to feelings of separation. The main focus of my work is showing folks how to interact with plant consciousness and how to understand the spiritual aspects of plant medicine. Doing this work awakens reverence for the forces that sustain all forms of life in the universe, helps us recognize our inherent divinity, shows us who we truly are and what we are here to do, and demonstrates what it means to be good citizens of this planet. Through my work and writing I truly believe that I am helping inspire the formation of a society in which we are fully attuned to the spiritual and ecological matrices of the places where we live and helping to usher in a new form of culture that is informed by and organized according to the laws of nature. Scott Kloos is creating books, essays, and articles inspired by plants and wild nature. Support him by pledging a monthly donation on Patreon! Plant medicine has been a passion of Amy Terepka's since 2005. Inspired by her travels throughout Southeast Asia and India, she returned home with an eagerness and enthusiasm to study herbal medicine and strive for a more natural, connected way of being. Since then, Amy has been working with plants physically, energetically and spiritually, continuously amazed by their wisdom and healing generosity. She believes the ability to make empowered and informed decisions about health and medicine is a birthright, which is why she finds plant spirit work so incredible. Everyone has the ability to connect intimately with their medicine, and experientially discover how each plant works with them specifically. She is so excited share and hold space for this process. She has studied with various plant medicine practitioners and schools including a two month live-in apprenticeship with Sunstone Herb Farm, The Arctos School of Botanical and Herbal Studies, the School of Forest Medicine, and Shayne Cases’ Flower Essence Mentorship program. She hopes to be a part of the greater resuscitation of a deeper, more intimate and healthy connection with the plants and our earth. Amy is a Licensed Massage Therapist whose practice, Groundwater Healing, includes plant medicine, intuitive energy work, therapeutic bodywork, and the Arvigo Techniques of Maya Abdominal Massage. Monica Everett remembered who she was while singing in the wild with The School of Forest Medicine. She lives a life of devotion through dancing, singing, prayerforming, communal living, and medicine making in Southern Oregon. Monica’s roots in the plant world stem from gardening and off-grid farming, and she graduated from the University of Missouri in 2012 with a degree in Sustainable Agriculture. After participating in The School of Forest Medicine Immersion in 2014 she backpacked through Central and South America and apprenticed in Butoh Dance. She is presently a Melissae at the Goddess Temple in Ashland, Oregon, where she tends herbs and hearts, and is remembering the ways of the Goddess. Monica is passionate about Radical Accessibility to ancient and ever-present knowledge, and knows that intimate relationship with the plants is a practice everyone can access that helps us remember who we are and what we are doing here on the planet in this time. She believes that this relationship with the plants brings us into a state of natural balance and harmony with the Earth, Sky, and each other. She is also passionate about women’s medicine, and honors the grandmothers and witches who walked before us by holding Red Tents, studying womb wisdom, and writing and teaching about Blood Magick with The Oracle of SachaMama. She is especially grateful for the plant teachings of humility, authentic wildness, forgiveness, and living shamelessly. Peony, Kishwoof, and Red Cedar are her guides. See you in the forest! Sommer Fawn Mousel was present for the start of the school and played an important role in its development. She is a teacher, ceremonialist, music producer, performer, and sacred medicine song holder who currently resides in the magical land of waterfalls known as Cascadia. She began her initiation into the “curimba” or healing songs of Brazil in 2001 on the Big Island of Hawaii. She has lived in the Amazon Rainforest, where she volunteered with Grandmother Maria Alice and other elders at the Centro da Medicina da Floresta. Sommer has been director of music for the School of Forest Medicine, here in Oregon, where she worked with Scott Kloos and the native plants of this land and contributed many healing songs to our own local plant culture. She has been receiving and compiling her own healing songs since 2002 and has presented her work under the guise of “Orixananda: Bhakti do Brazil” at many gatherings and festivals including Beloved and Singing Alive. She has published a volume of her medicine songs entitled “O Caminho do Som Dourado” (The Way of the Golden Sound). We are always grateful when she can be present at Forest Medicine events. Kathryn Dusseau Kloos is a board certified Naturopathic primary care physician, herbalist and licensed massage therapist. She graduated with a Bachelor’s of Science at Bastyr University’s first ever Herbal Science degree in 2003. As a licensed massage therapist, she has over 8 years of experience in treating musculoskeletal conditions using myofascial massage, deep tissue and intuitive energy work. Her deep reverence for nature and sincere desire to learn herbal medicine led her to South America where she spent 6 months experiencing the traditional healing practices of Chilean indigenous healers and Amazonian folk healers. Witnessing the extraordinary healing power of nature inspired Kathryn to pursue further training as a naturopathic physician. She graduated from the National College of Naturopathic Medicine in Portland, Oregon with special interests in physical medicine, women’s health and pediatrics. Her practice focuses on strengthening overall health through nutrition, herbal medicine, homeopathy, massage/bodywork, Holistic Pelvic Care™ and lifestyle counseling. At home, Kathryn is nourished by her vivacious two year old son who constantly reminds her about the magic of life. She is also nourished by good community and her husband’s support and commitment to his work as an herbal educator and founder of The School of Forest Medicine. Their combined mission is to help people regain their health by connecting to the healing that nature has to provide.